This is part 2 of Whistleblower: Trump Nominates Racketeer To Federal Bench..
Summing things up, until the next story comes.. Significant of 2010 as a possible reason why all these efforts ended by deaths, could be the fact that Mitt Romney would begin his 2012 presidential campaign only one year later. Colm Connolly’s assistant, Ellen Slights, is still at the Delaware U.S. Attorney’s office; and – rumor has it – her husband is a state judge. As noted earlier in this story, Joe Biden blocked Colm Connolly before the mayhem and homicides occurred. Obviously, since then, things have gotten far worse. MNAT and Paul Traub settled the eToys v Sachs NY Supreme Court case for a paltry $7.5 million, which Traub publicly argued, as a Marc Dreier law firm partner, that it was Traub’s right to keep. Surely we can’t have racketeers “retroactively” retiring from their organized crimes? Also, there can’t be any notion of a statute of limitations when the crooks own the very federal prosecutors – like James Lackner, Ellen Slights, and Colm Connolly – who preside of the cases in question. This saga is beyond extraordinary, and pure investigations and prosecutions are beyond long overdue. Even more disconcerting is that the deaths don’t end there; on New Year’s Eve 2010, John (“Jack”) Wheeler was hit in the head and thrown in a Delaware dump. Video now exists documenting that Jack Wheeler was in the Nemours Building at the time of his murder (see story – here). The Delaware United States Attorney’s office is in the Nemours Building; and so is the current office of Colm Connolly at Morgan & Lewis (here). In a legitimate era of justice, everyone should be screaming – Hell No – Colm F’n Connolly can never be allowed to become a federal judge. These racketeering cases, with mayhem (Laser’s daughter was abducted after his own lawyer – Henry Heiman – emailed Laser, Traub’s warnings to “back off”) and unrelenting corruption, must be investigated! The more important question is – how much is organized crime involved in the corrupting our federal systems of justice? Is this renewed nomination for Colm Connolly to fill one of the two vacant judge’s seats, including that of the promoted off eToys case, Kent A. Jordan – quite possibly another racketeering crime? The question is, who – how – and other “why”? As if all the 100-plus racketeering crimes being protected by prosecutor and court corruption isn’t enough beyond the factor that the courts are illegally blocking Laser’s whistleblowing effort. Laser can’t sue to block Connolly’s nomination in D.C. federal court; because, it is more likely than not that the Clerk would just refuse to docket Laser’s case, as they had done with the Jay Clayton lawsuit. Nor can Laser sue in Delaware. Beyond the factor that the eToys court has ordered the clerk to block Laser’s filings, it also won’t do any good to appeal above to the 3rd Circuit Court presiding over Delaware. When Laser and eToys shareholder Robert Alber appealed the eToys cases to the 3rd Circuit – the Circuit proffered the absurd ruling that the Federal Rules of Appellate Procedure do not apply to the eToys bankruptcy case. On top of that, Walter K Stapleton, the man who Colm Connolly clerked for, was a partner of MNAT, is a 3rd Circuit justice. Then there’s the issue of Delaware District Court Judge Kent A. Jordan, who threatened Traub and MNAT on October 16, 2006, which was followed up a few weeks later with Jordan being promoted off the eToys case to the 3rd Circuit Court that presides over Delaware cases. There’s also the factor that the FBI is threatening Laser. The reason behind the most recent FBI threats against Laser is the fact the local FBI must approve the nomination of Colm Connolly to become a Federal Judge. But the local FBI said things are being handled by four judges. Are the “4 judges” – unnamed by the FBI – the eToys judge, and District Court Judge Jordan who is now at the 3rd Circuit? Also, there’s the 3rd Circuit former MNAT partner, Walter K. Stapleton, (whom Colm Connolly clerked for). Finally, there is Judge Alito who has been at the 3rd Circuit since 1990. His Honor Alito has no excuse for not understanding the gravity and gravamen of the eToys related cases; because Alito was a prosecutor of organized crimes. Another possibility for the 4th judge could be the fact that Donald Trump’s sister is also a 3rd Circuit Court Judge. So the question is, where does one go for justice, when the racketeers have well-documented undue power and influence over our federal system of justice? Nearly everyone Laser was aware of in the eToys case has died, or has joined the opposing side, or just walked away with a promotion off the case. What do you do if Frank Nitti is going to be inserted into the federal system of justice; and there are no Eliot Ness’s to prevent it? Our uncanny President has nominated a former crooked federal prosecutor who was blocked nine years ago from becoming a federal judge, so that stalwart may now become a Federal Judge over the very Delaware corrupt system. Most certainly, the nomination – STINKS! If the racketeers can get away with so much, openly, how much more are the perpetrators doing in secret? The 3rd Circuit ruled that the Federal Rules of Appellate Procedure does not apply to the eToys cases; and that is the problem with Laser’s eToys Wall Street racketeering and federal corruption cases, in a nutshell. Our Constitution is being assaulted by those who swore an oath to protect it; and our Laws, as they were written, are not being applied. Now Trump wants a big assault on the Constitution, to swear another false oath to protect it! Trump vowed to “drain the swamp;” but, with this appointing of Colm Connoly, Trump is effectively only filling the swamp with a big rig. Trump is allowing for further corruption combined with the deregulation of Wall Street by his SEC director Jay Clayton and his Goldman Sachs cronies. Colm Connolly betrayed the public’s trust, a dozen times. Colm allowed Goldman Sachs & Bain Cap to destroy the eToys public company and rip off Mattel of $4 billion. Connolly’s bad faith also includes aiding and abetting mayhem and homicides. As a bad faith federal prosecutor, Colm Connolly allowed MNAT, Paul Traub and Barry Gold to help Michael Glazer rip off the KB creditors of $100 million before filing bankruptcy. Could any one of us 99% take even $1,000 of money out of our savings before we filed bankruptcy? It is no small matter of coincidence that Colm Connolly’s tenure at MNAT was the same exact time Mitt’s Presidential Campaign claims Romney was “retroactively” retired from Bain Capital. 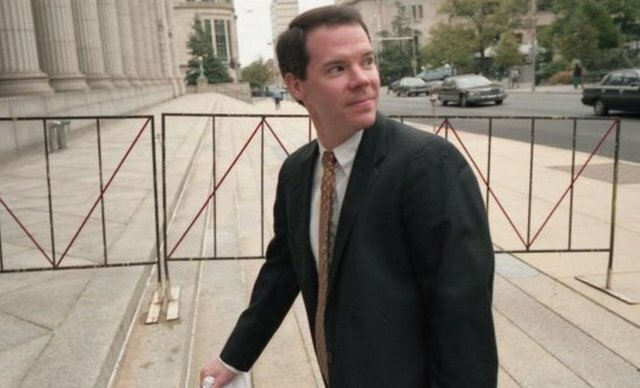 This visibly corrupt federal prosecutor got paid at the MNAT law firm before and after Colm Connolly was a federal prosecutor protecting Goldman Sachs, Bain Capital, Mitt Romney, Paul Traub, Barry Gold and MNAT from prosecution. Even if Colm got paid a meager salary, those parties using their influence to get Colm a judgeship nomination is a quid pro quo in 2008 and 2018; because Colm Connolly has never confessed any of his conflicts of interest. Making the issues extensively heinous and egregious, is the fact that Laser’s daughter was abducted after his own attorney, Henry Heiman, emailed a Traub firm threat for Laser to “back off” or else. And Colm Connolly did nothing about it, as a Federal prosecutor. Even after Paul Traub and MNAT were compelled by Laser to confess that 33 affidavits were bogus (and Paul Traub confessed his were deliberate), Colm Connolly’s office was so willfully blind that the crooked lawyers were aided to strike and expunge Laser’s evidence. As a result of Colm Connolly’s willful blindness and his assistant Ellen Slights remaining inside the Delaware Department of Justice, to make sure Goldman Sachs & Bain Capital’s racketeering acts are never prosecuted. MNAT and Paul Traub’s partnerships in crimes resulted in Traub expanding the enterprise to New York Marc Dreier frauds and Minnesota Tom Petters Ponzi. With Robert Alber dead! Marty Lackner was involved in Petters Ponzi and Marty was brother of Minnesota Federal Prosecutor James Lackner; but we can’t ask Marty why he was never prosecuted – because Marty is dead! Colm Connolly’s willful failure to prosecute and his scheme to become a judge are an ongoing effort of a criminal conspiracy against the United States. Colm is guilty of being a despot with domestic enemies and no one is doing anything about it! There’s also solid, video evidence that Colm Connolly should be questioned about Jack Wheeler’s homicide; but the Delaware FBI is already corrupted by Colm Connolly’s assistant Ellen Slights! I would soo much like to see the Clintons being punished in someway, but thats not how the USA is build, there will be huge investigations costing the tax payers millions! and in the end, what will it result in, stamped secret? at worst the clintons can expect a fine of well pocketchange for them, and maybe some sort of community service and THATS IT! The Clintons is and always will be protected behind politics, any regular people would see jailtime with LESS evidence for this. This has nothing to do with the Clintons? What? The Vince Foster case is really fascinating to me. It's also interesting to learn that Bill Clinton fired FBI director William Sessions the day before Foster was murdered. Some might say that his removal as FBI director could be considered a form of obstruction of justice, as it left the FBI in disarray going into the Foster investigation. Perhaps, a coincidence but considering the Clinton's track record I highly doubt it.